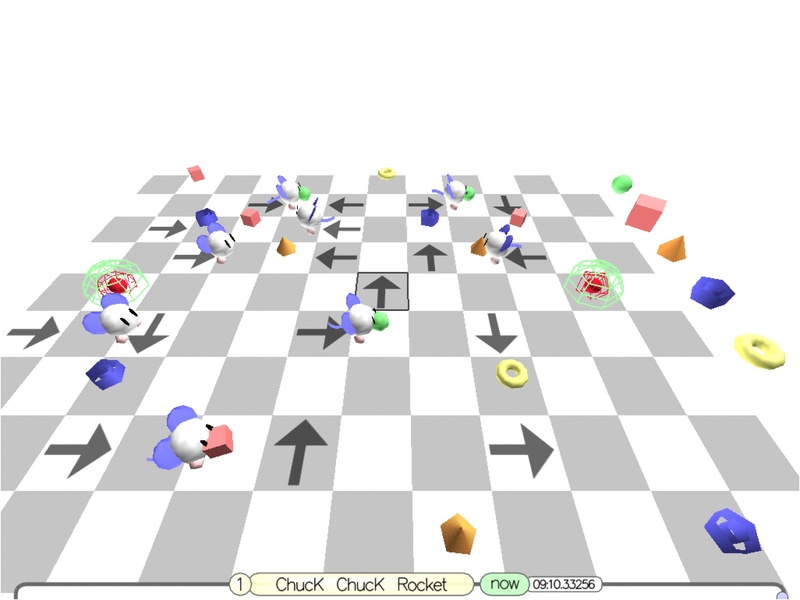 This is a networked musical game based on the Sega Dreamcast game Chu Chu Rocket. ChucK ChucK Rocket was created by Ge Wang, Scott Smallwood (with special thanks to Ananya Misra). 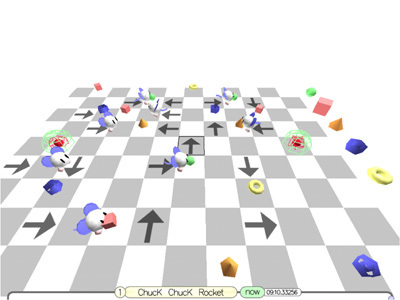 It consists of mice running on grids, moving according to arrows placed by the player. When a mouse runs over an object, sound is triggered. The sound can be mapped to anything by writing ChucK code. 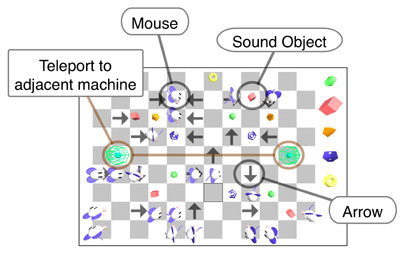 Mice can also move from machine to machine via portals, making a synchronized multi-player collaborative musical game possible. The first performance consisted of 15 players in PLOrk at the Chancellor Green concert.